The fourth World Islamic Economic Forum entitled “Islamic Countries: Partners in Global Development” was held in Kuwait on the 28th April – 1st May 2008 and was attended by more than 700 participants from all across the globe, particularly from the Gulf States. 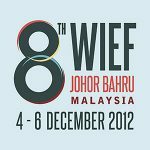 Among the leaders who attended the Forum were the Emir of Kuwait, Sheikh Sabah Al-Ahmad Al-Jaber Al-Sabah, Prime Minister of Kuwait, Sheikh Nasser Al-Mohamad Al-Ahmad Al-Sabah, Prime Minister of Malaysia, Dato’ Seri Abdullah Ahmad Badawi, Ruler of Jordan, King Abdullah II, President of Senegal, Abdoulaye Wade, President of Afghanistan, Hamid Karzai, President of Bosnia and Herzegovina, Haris Silajdži, Prime Minister of Bahrain, Sheikh Khalifa bin Salman Al Khalifa, Prime Minister of Cote D’Ivoire, Guillame Kigbafori Soro, Minister of Energy and Mineral Resources Kazakhstan, Souat Mynbayev and President of the Islamic Development Bank, Dr. Ahmed Mohamed Ali. 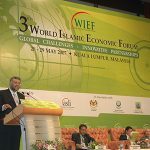 The 4th Forum focused on the theme of Islamic countries as true players of global development on the Muslim world as a burgeoning market, the role of energy in a changing world, the role of investment in poverty reduction, the private sector role in development, and the role of education. 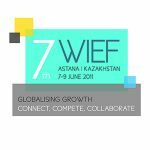 We, the Delegates gathered together for the 4th World Islamic Economic (WIEF) with the theme “Islamic Countries: Partners in Global Development” in Kuwait City, the State of Kuwait from 28th April to 1st May 2008. 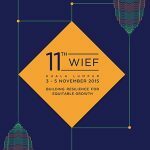 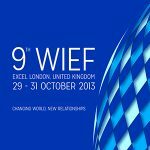 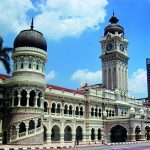 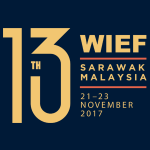 The WIFE-UiTM ‘ International Centre and its training, education and R&D programmes, including the proposed WIEF-UiTM-IDB technical and vocational courses for disadvantaged communities to be launched initially in The Gambia. 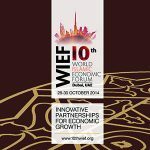 RECOGNISE the importance of public-private dialogue and partnering to realize these aspirations and call upon the government of the OIC countries and the Muslim Ummah to work with their private sectors to ensure the successful implementation of the practical ideas and programs identified during the Forum and to develop specific projects strengthening the vibrant SME sector. 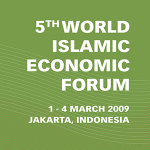 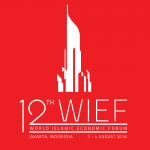 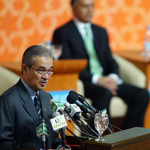 ACCEPT the gracious offer of H.E Susilo Bambang Yudhoyono, the President of the Republic of Indonesia, to host the 5th World Islamic Economic Forum in Jakarta, Indonesia in 2009. 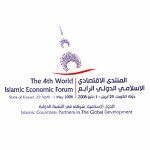 FINALLY, in closing this, the 4th World Islamic Economic Forum, we call on the Forum’s Chairman to submit this Declaration to the Chairman and the Secretary General of the Organisation of Islamic Conference. 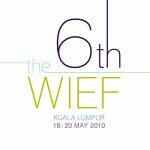 ADOPTED by the Delegates in the Kuwait City, the State of Kuwait on 1st May 2008.